What happens when the music finally stops? When all the originals and torchbearers fade away what remains? 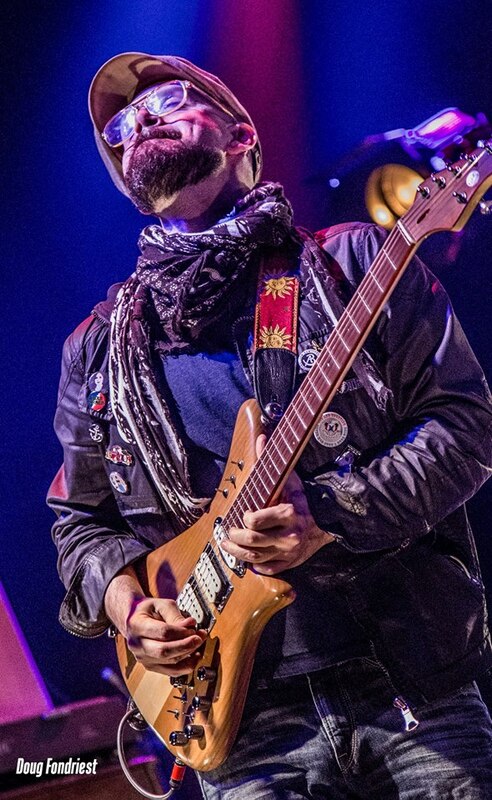 Joe Russo’s Almost Dead is singlehandedly making sure that never happens through innovation and a reverence for the music of the good ol’ Grateful Dead. Russo put in his time with Furthur and when they disbanded, it appeared he was given the keys to the kingdom. Now what started as a one-off party band has evolved in a stadium-filling endeavor complete with a massive light show and a dedicated fanbase. 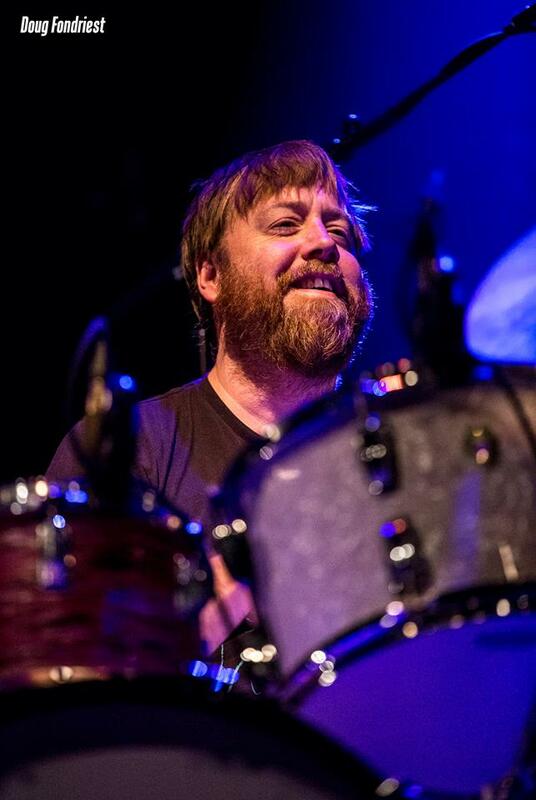 In just their 108th outing as a band, Joe Russo’s Almost Dead has gone from a novelty to the real deal. 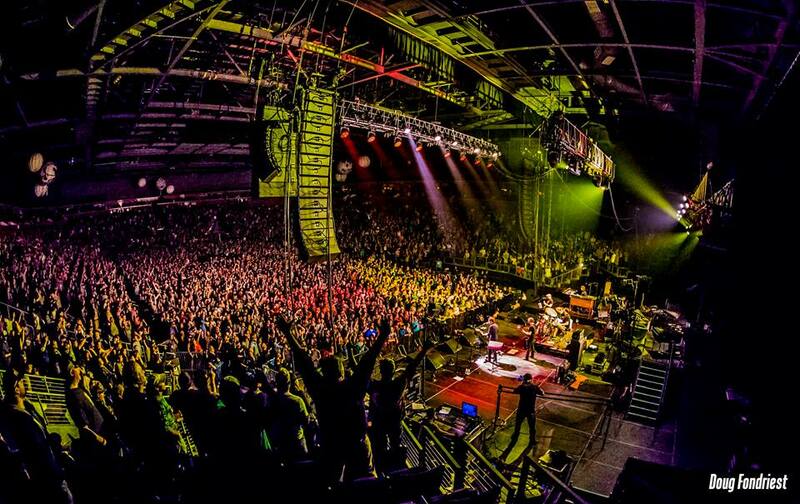 They sold out the 6500 seat 1stBank Center after their show at Red Rocks was moved due to snowy weather. Medeski, Martin & Wood is the sort of beefy opener you would expect from JRAD on their first attempt at Red Rocks. It just sounds like a good time. MMW and JRAD? Okay, I’m game. Fans filtered into the 1stBank Center after MMW’s prompt 6:30 PM start to find a very dark room and some funky, progressive jazz hovering over the dimly lit audience. There were a lot of “firsts” for JRAD on this particular April evening in Colorado. 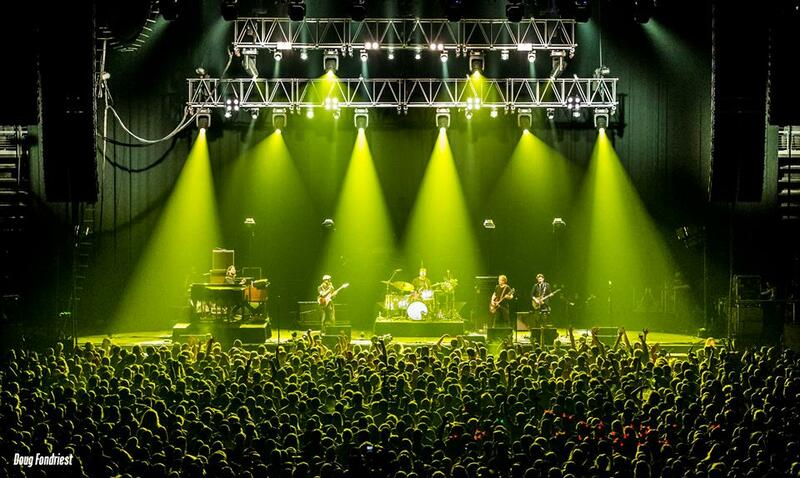 This was the first time that JRAD had played a bonafide arena, this would be the longest JRAD show on record and this was the first time they payed Bob Dylan’s “Shelter From The Storm” which opened up the show. There was so much awesomeness in this show it’s difficult to really explain what transpired, but here it goes. Many fans had mixed emotions about the move from Red Rocks to Broomfield, but with the snow falling on the Front Range at showtime, the decision to change venues was affirmed. They opened up with the (first time played) Bob Dylan tune “Shelter From The Storm” with Tommy Hamilton on vocals. They immediately took the energy up a notch with a fiery “Bertha.” The “Let It Grow” began with an ethereal, otherworldly jam that built into a twenty minute monstrosity which featured a rare take on Led Zeppelin’s “No Quarter” and touched on all shades of psychedelia. The “Help On The Way” into a transcendental “Slipnot” meandered into a huge Metzger sung "Throwing Stones." The band slowed it down for a tight “Must Have Been The Roses” into Bob Weir’s “Gonesville.” This was their first time playing any track off Weir’s recently released Blue Mountain. They closed with a crowd pleasing “Shakedown Street.” The first set clocked in at around an hour and forty-five minutes. While they didn’t rush anything, the first set was primarily a straightforward groove. This is especially true when compared to the musical output of the second set. As the lights dimmed fans noticed a rather tall riser perched above Russo’s drum kit. Adam Morford of Tallgrass and Morfbeats was alone on the stage twisting some knobs. 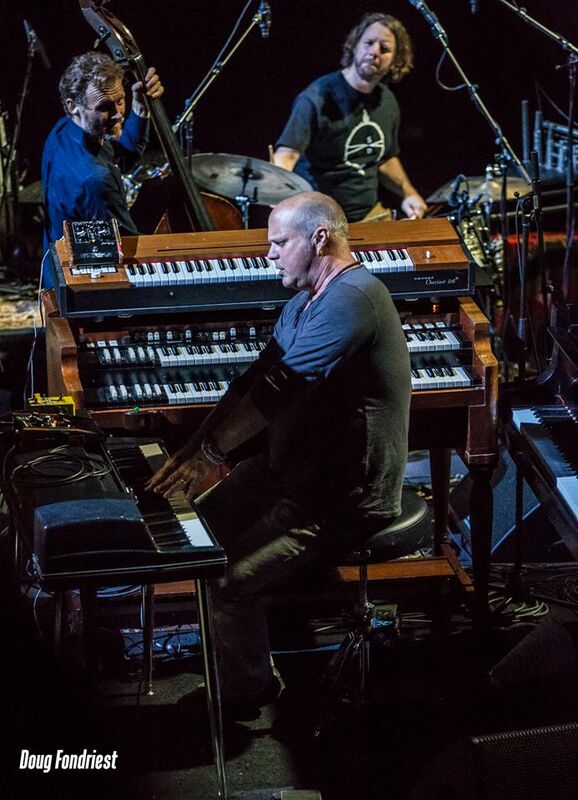 His siren effects drifted over the crowd as he was joined by Russo, Medeski and Martin for a “Drums,” the likes of which no one could have predicted. This ten minute jam percolated through the crowd as the four artists applied their musical prowess to the incredible instruments created from the mind of Morford. 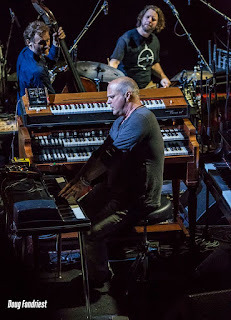 They continued to play as the band joined in for a deep “Space” that eventually came up for air with a ridiculous “Dark Star.” At some point, Medeski moved down to Benevento’s Hammond. The band was joined by longtime JRAD collaboration Stuart Bogie on saxophone, flute, and clarinet. After several mind-bending tunes, fans were comforted by the familiarity of “Mississippi Half Step Uptown Toodleloo,” which became a powerful sing-along. “Estimated Prophet” took on a deep and dark jam accentuated by Bogie’s sax. The beautifully executed “Terrapin Suite” was my highlight of the night. It felt like they didn’t want it to end as the band kept extending the jam. Mr. Dreiwitz was on fire for the entire performance just driving the bus in a cool, calm and collected manner. “The Other One” was pretty clean, but the “Eyes Of The World” was a joyous punctuation mark on two magical sets of music. The band returned for the first of two double encores with a predictable, but well executed “One More Saturday Night.” Marco was shining bright as they segued into an instrumental attack on “Cold Rain & Snow” before returning to “One More Saturday Night.” Many fans, including myself, thought the show was over with the hypnotic “Not Fade Away” which featured a jam on The Champs’ “Tequila.” That was not the case. As they rapidly approached curfew the band played on. Joe Russo had thanked the crowd several times throughout the show. He was both humble and exuberant that this concert was salvaged and in such an epic way. He gave a nod to his wife who had requested “Ripple.” She got her wish with a tight rendition before Russo returned to the microphone with, “…Now for something completely different.” The band immediately ripped into Bruce Springsteen’s “Born To Run.” That would have been alarming enough, but in the first verse the house lights blazed on indicating we had reached our curfew. The band played for five full minutes with everyone soaking it all in with the pure light of day raining down. 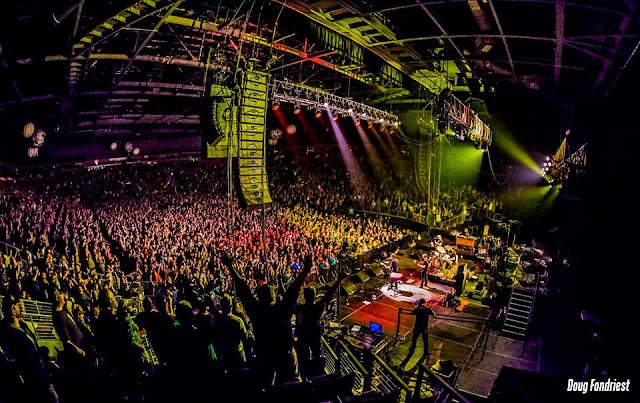 Fans dribbled out of the venue on clouds of Grateful Dead (and Springsteen) inspired happiness. I’ve now had the chance to see JRAD six times and they are directly and purposefully breathing new life into the music that we all hold dear. At some point, all that will be left is a songbook. I find comfort knowing that performers like Joe Russo, Grahame Lesh and Neal Casal are continuing a tradition that began over a half century ago. The legacy of the Grateful Dead is still being written at Dead & Co. shows, at Terrapin Station and at dive bars across the country. The music transcends, which is why musicians who can elevate the time-tested sounds of the Dead will soon find themselves surrounded by an eager audience.